Karol Bagh Fire: The fire broke out at the Hotel Arpit Palace in a congested part of central Delhi's Karol Bagh, with images showing it engulfing the entire top floor. At least 17 people died this morning as a fire tore through a budget hotel in Delhi's Karol Bagh before dawn, in the latest disaster to raise concerns over fire safety in crowded marketplaces. The fire broke out at the Hotel Arpit Palace in a congested part of central Delhi's Karol Bagh, with images showing it engulfing the entire top floor. "We have confirmed with hospital authorities, the number of deaths has risen to 17, including a child," Sunil Choudhary, a fire department official, told news agency AFP. 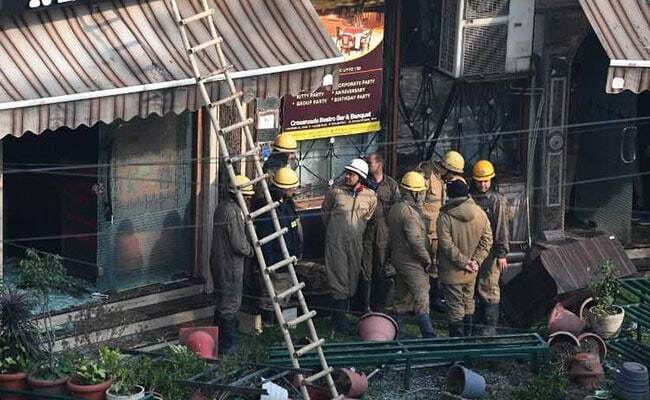 GC Misra, Delhi fire brigade director, said the blaze had been brought under control and that 35 people were rescued by firefighters in an operation lasting several hours. Images showed thick smoke and flames billowing out of the top floor of the six-storey hotel, popular with budget travellers. "The top two floors of the hotel were constructed illegally," Delhi minister Satyendar Jain said. Police said they were investigating the cause of the fire. Fires are common in congested areas, especially in cities like Delhi and Mumbai, because of poor safety standards and lax enforcement of regulations. Fire disasters are particularly frequent in Mumbai, where millions live in cramped and dilapidated properties because of high rents.